About a month ago I received a surprise package from Essence. A while back I had entered a draw for testing the new My Skin products, and I had completely forgotten about it when the mail man came over to deliver me the package. You can imagine my surprise and excitement when I read "Cosnova" on the side of the box, because let's face it, I'm not one to be that lucky to be randomly picked in a draw. I was supposed to submit my opinion about these products through a special questionnaire, but life happened and I missed the deadline. And so I decided to make a blog post about my experience with the products I received. I am not one who sticks to one brand of skin care products unless they are as wonderful as Loki's mood on a good day. So I change them quite often, and when I saw (and smelled) this I didn't think twice before I started using it. The gel itself is transparent, it contains lychee extracts and blue grape seed oil, and so it smells very pleasant (if you are into the smell of lychee and grapes like I am), and feels soft against my skin when I'm lathering it using the cleansing pad that came with the package. The gel leaves a clean feeling once I wash it off. Not as the same feeling I get from a certain product I used a while back, but close. And I like that. Nothing like actually feeling the cleanliness of your skin instead of being left with the feeling that there's still some facial wash on your face. The other product I used is not available in Europe, and since I don't like ordering facial products online, this cleansing gel is definitely a good replacement for it especially since it's available in drugstores. So this is the cleansing pad I received in the package. 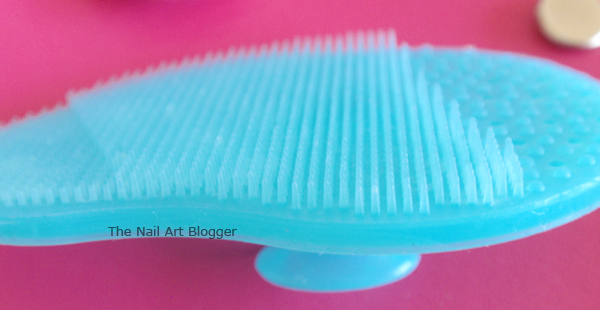 It's made of silicone and it consists of different sized bristles. 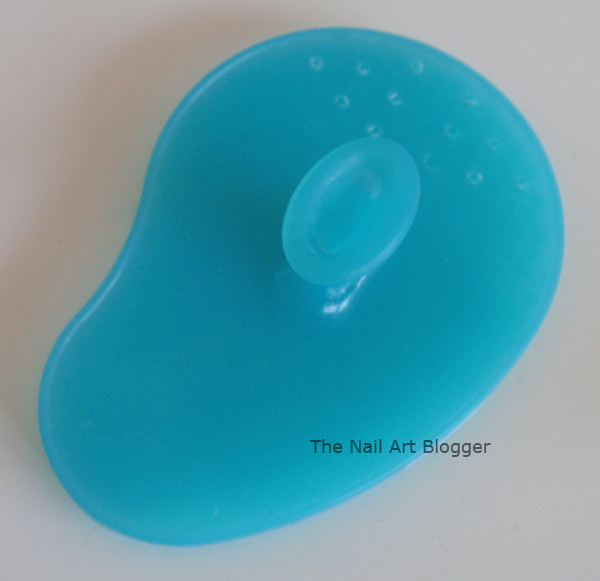 It's pretty soft and helps to spread the facial gel over your skin, and of course, it exfoliates as well. It has a handle on the back, which makes holding it easier when you're cleaning your face. 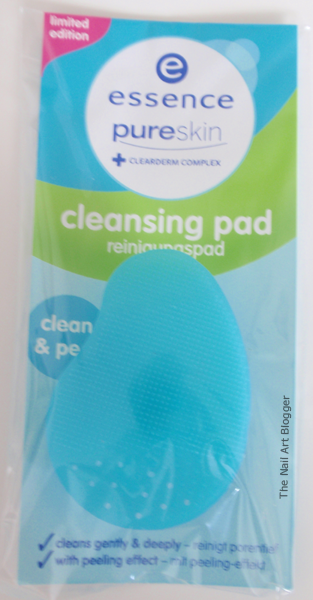 I find this cleansing pad pretty awesome, considering I wax my face (and now I epilate it) and exfoliating the skin is essential for not getting ingrown hair (not that it helps much, my facial hair is a pain in the you-know-where due to hormone issues). 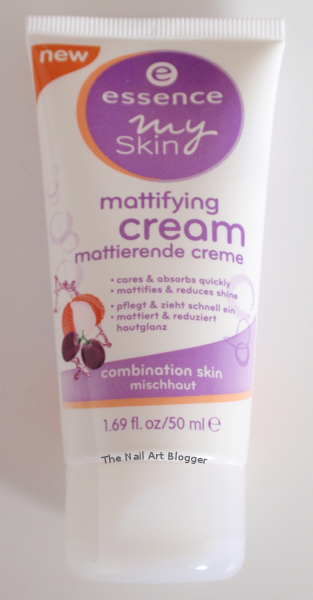 This mattifying cream was something I was very curious about. I use one from another brand and while I'm quite pleased with it, it doesn't meet my budget that well. But Essence is quite affordable and so I was very intrigued about how this one would work for me. Let me start by saying that I have an oily to combination skin, I sweat like a sailor at the least amount of movement, and so my face starts shining immediately. So putting this cream to test was going to be fun! I used this cream on a daily basis after washing my face using the facial cleansing gel (mentioned above). The first few times I used it was only in the mornings, which was a big mistake. Right after applying it, my skin warms up and I start sweating. And it's not just a couple of drops. No, it's like an hour nonstop on the treadmill at the gym kind of sweating. So after experiencing that, I decided to use it as a night cream instead. And what do you know, minimum to no sweating at all! I don't know why that happens, but I decided not to use it in the mornings anymore, and simply put it on before going to bed. Nothing like having your pillow smelling like lychee and grapes when you wake up. (I sleep on my side, and usually end up burying my face into the pillow at some point during the night). As for the mattifying effect, while using it in the mornings I didn't see any effect because I was sweating a lot. And at night, well, it doesn't really matter now, does it? Overall I'm pretty pleased with both of these products. My only regret is that the cream is too heavy for me to use it as a day cream, but otherwise I'm pleased at how soft it makes my skin feel. These products were sent to me for testing, and to give an honest, unbiased opinion. Essence products are available at Kruidvat (a drugstore chain) in the Netherlands.